This Spicy Chocolate Cake is a refreshing new twist on a sweet favorite. 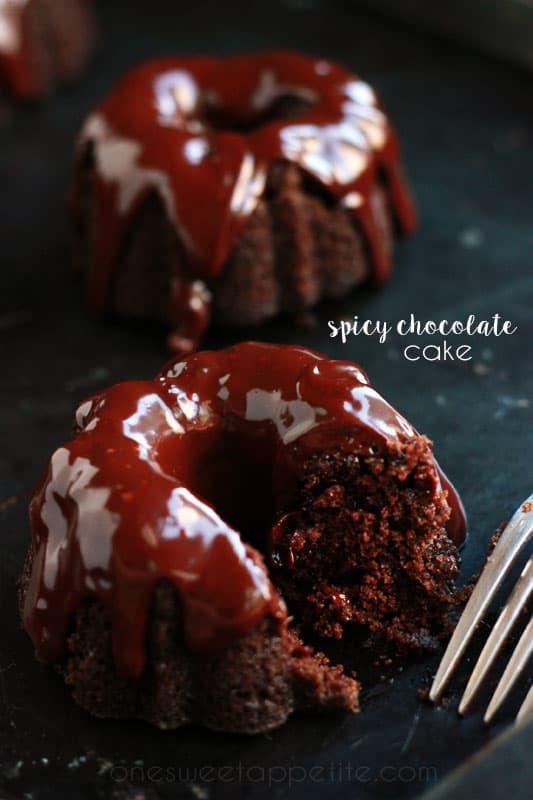 I know what you’re thinking… Spicy AND chocolate combined in one cake? I promise it’s sweeter than you think. This cake is a fun and refreshing way to serve your favorite chocolate dessert. The spice level is tolerable for even the youngest taste testers. My six year old was hesitant when he heard the word “cayenne” but eventually caved after staring at these cute little cakes sitting in our cake display for a few hours. That first bite was nerve wracking but in a matter of seconds he had the entire thing gone and was picking up the crumbs! 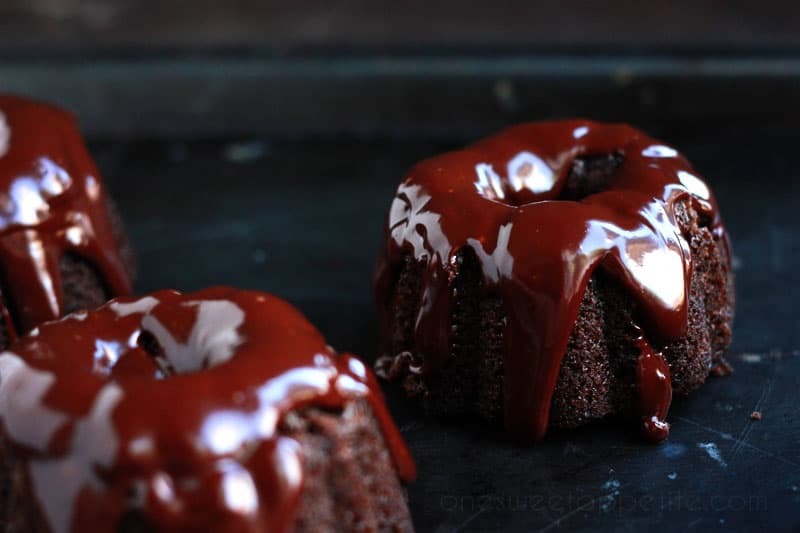 I used a mini bundt pan to make these adorable tiny cakes but you could easily make these into cupcakes or a small 9 inch cake. 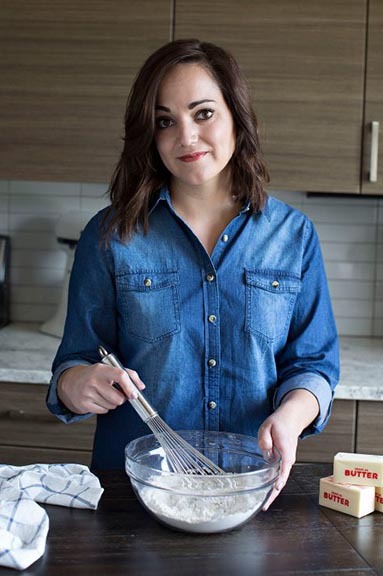 If you are looking to create a layer cake I suggest doubling up on the batter. 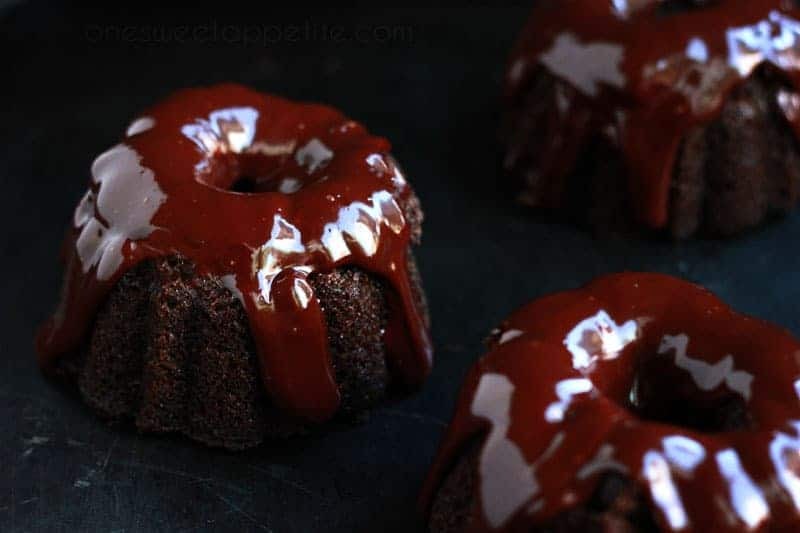 This recipe ends up with a flavorful and moist dessert that has a powerful flavor all on it’s own but a light dusting of powdered sugar or drizzle of chocolate ganache leaves you with a professional looking treat! I whipped up a spicy chocolate ganache, recipe coming soon, over on Periscope the other day and loved the end result. The secret to a good ganache is to use a good quality chocolate. I love Ghirardelli 60% cacao but have also used semi sweet chips in a pinch. Either one is sure to produce a great end result. Make sure you drizzle it over the cake while it’s still fairly warm. If it starts to cool it will thicken up and won’t give you that nice pretty drip look. If that starts to happen just make sure you heat it up a little bit. So what do you think? Will you top the cake with a ganache, leave it plain, or a dust of powdered sugar? Preheat your oven to 350 degrees. Line a 12 cup muffin tin with paper liners or grease one 9 inch cake pan. Set aside. Whisk together the flour, cocoa powder, baking soda, cinnamon, and cayenne pepper. Set aside. In the bowl of an electric mixer cream together both sugars and the soft butter until fluffy, about 3 minutes. Stir in the milk, egg and vanilla. Alternately add the dry ingredients with your hot coffee or water. Make sure you scrape the sides incorporating the ingredients well. Fill your cupcake liners 3/4 full or pour batter in your prepared cake pan. Bake cupcakes 12-15 minutes or until a toothpick comes out clean. Bake cake 25-30 minutes or until a toothpick comes out clean. 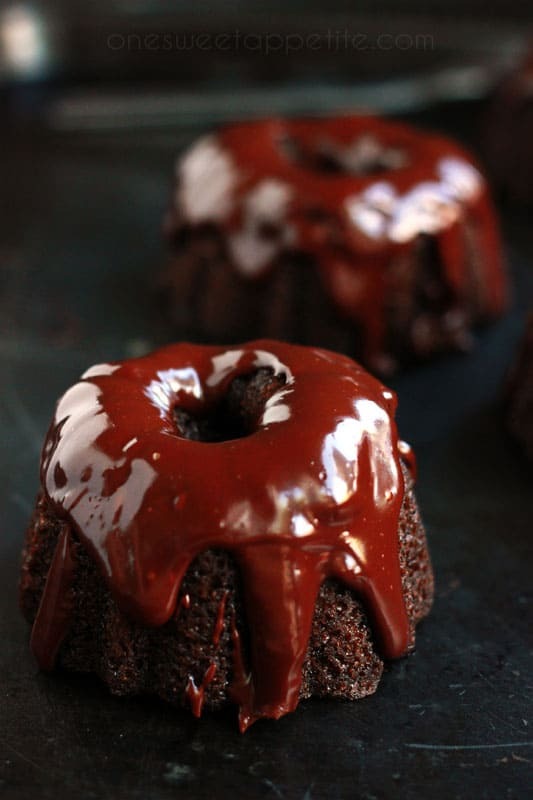 Dust your finished cakes with powdered sugar or top with a chocolate ganache. I love the idea of mixing spices and chocolate. This is one cake my hubby is sure to love! That looks absolutely delicious, and fantastic photos too!